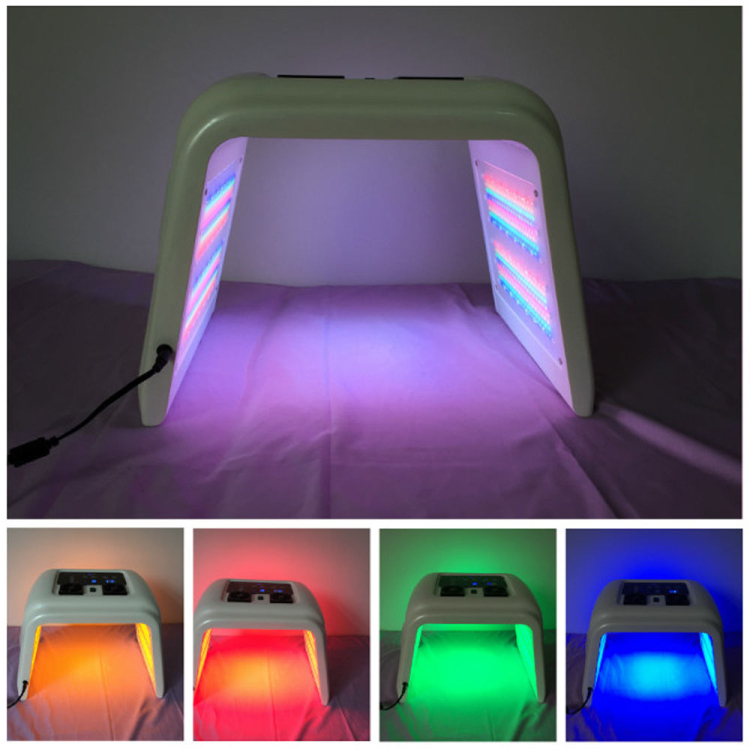 LED therapy is quickly becoming recognized as the safest & most effective anti-aging and acne treatment on the market. LED visible light therapy is a non-invasive procedure that allows non-thermal, low-level light energy to activate the natural processes of the skin. It converts the energy from the light into energy within your skin cells, which can then be used for healing, reducing inflammation, and minimizing scarring. It helps develop collagen and elastin to make your skin look more wholesome and youthful. LED can lessen the size of your pores, eliminate imperfections, enhance the quality of your skin as well as treat dehydrated skin. Since LED can develop collagen, your skin will become softer and fine line and wrinkles are filled-in. 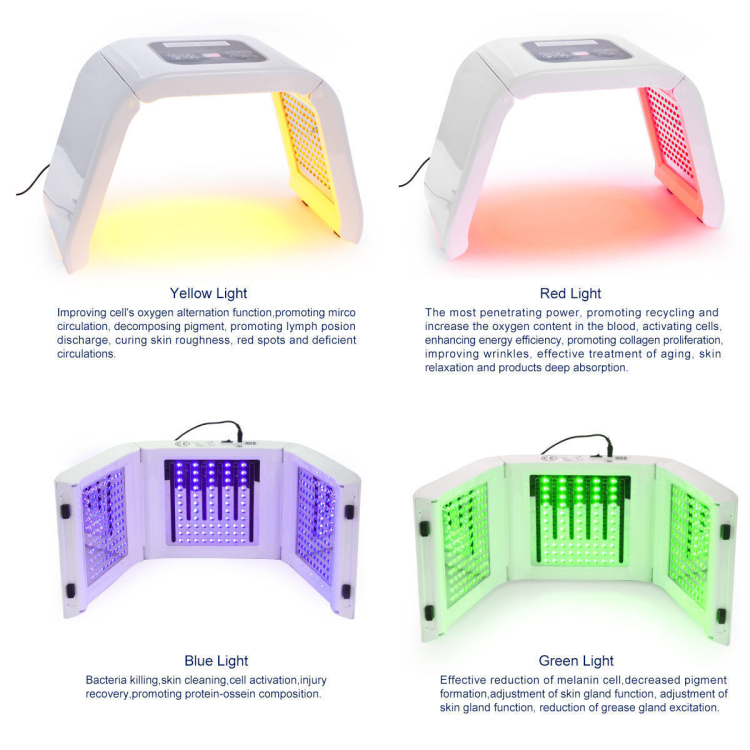 Light therapy has been used in professional skin care clinics and dermatological clinics all throughout Europe for a good part of the last decade, but only now has this technology been made available to the public. 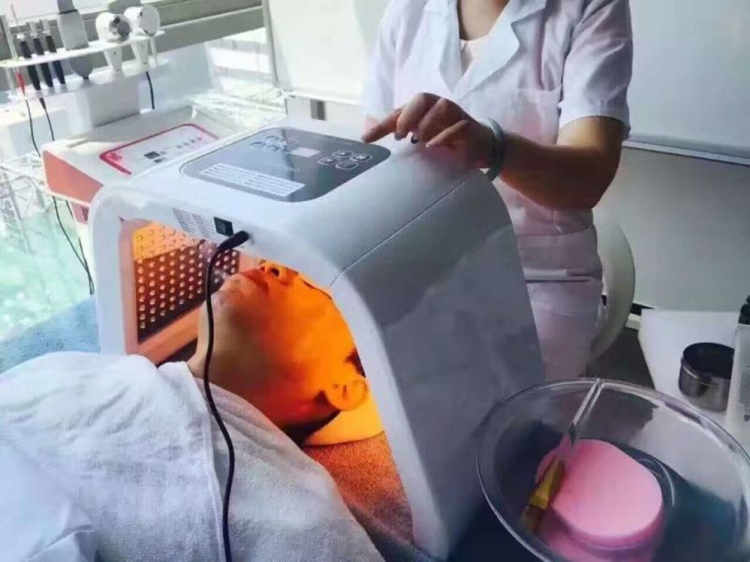 The most penetrating power, promoting recycling and increase oxygen content in the blood, activating cells, enhancing energy efficiency, promoting collagen proliferation, improving wrinkles, effective treatment of aging, skin relaxation and products for deep absorption. Also great for scarring and fat burning. Bacteria killing P. acne, skin cleaning, cell activation, purifying the skin, stabilize oil glands, and sooth inflammation. Great for acne scar elimination treatment. Green Light (Hyperpigmentation & Skin Brightening) Has calming and soothing effect on the skin, used to treat dilated capillaries, sagging skin around the eyes, under eye circles, hyperpigmentation and sun spots. Improved the cell's oxygen alternation function, promoting mirco circulation, abnormal decomposing pigment (hypo or hyper), promoting lymphatic function, curing skin roughness, red spots and deficient circulations. Also beneficial for Rosacea and treating burns such as sunburns. 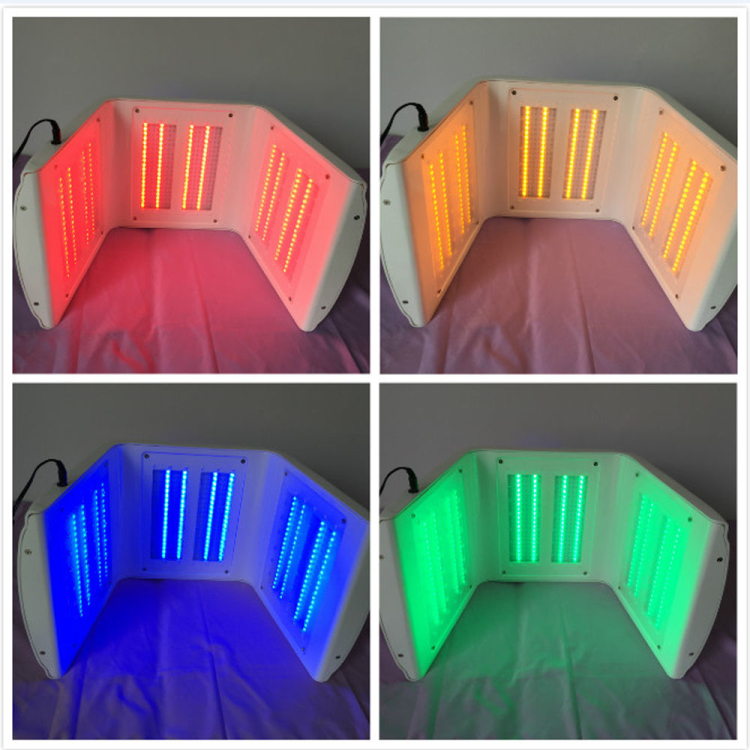 LED light therapy consists of six (on average), 30-60 minute pain-free sessions 2-3 times a week for a month. Once desired results are obtained, maintenance treatments are recommended every 30-60 days to keep the collagen firm. It is recommended to use moisturizer daily to maintain results.